Answers to the most frequently asked questions related to mutual funds. We usually say that the awareness of mutual fund investments is increasing rapidly, but there are still some people who have never experienced the rewarding nature of MFs. When these beginners enter the market for the first time, they generally have thousands of doubts in mind. Not only the uninformed ones but sometimes, the informed investors also ask questions which are very basic and should be known. To assist such people, we are here to help them in all cases of online mutual fund investment services. Is a Mutual Fund with Lower NAV Better? In mutual fund investments, many people believe in myths out of which one is that investing in a fund with lower NAV is better. We suggest you not to consider NAV when investing in any scheme. Suppose you have invested in a fund whose NAV is as low as Rs. 10, according to you it is better as it can reward you much higher returns than the scheme having higher NAV. What if the fund will not perform as per your requirements? It may be possible that the fund fails to provide any further growth, and showcase downfall. Therefore, it is suggested to not consider NAV, instead try observing the performance of the scheme before investing in it. In this way, you can understand the ability of the fund in generating high returns under various market situations. 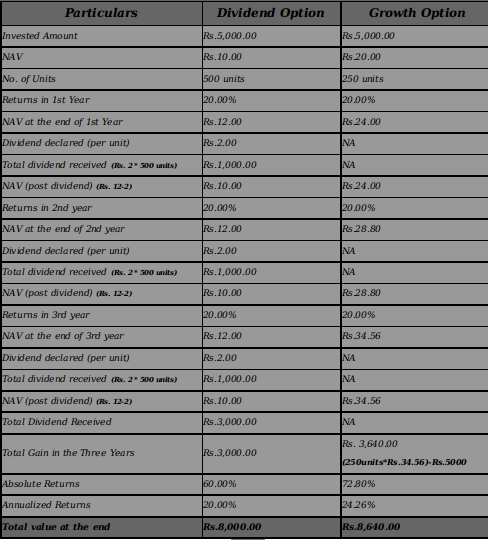 What Are the Charges in Mutual Fund Investments? If you think that the mutual funds will charge you at the time when you start investing, then you are absolutely wrong. They do not charge any such amount. You are really lucky that you are in the era of No Entry Load. It means mutual funds do not ask you for any fee when you start investing. However, they charge a little amount of money as Exit Load when you redeem your investments before the maturity period. This amount is charged as a fee to fund manager for handling the management of the scheme to reap maximum returns for you. Is it a Right Time to Invest in Mutual Funds? One of the most frequently asked questions by the herd of investors is when is the right time to invest in mutual fund. We have already provided suggestions on this topic, and again offering you as we are here because of you. First of all, both mutual fund investment and share market trading have completely different dimensions. You must be thinking that why we are talking about the share market, but yes the matter of timing the market only comes when you are trading in share market. In mutual funds, you need not time the market as the expert fund managers are there to handle all ups and downs in the performance of the scheme on the basis of the market trend. Therefore, forget thinking about the right time to invest in mutual funds; as here, the best time starts when you put your money in mutual fund investments to reap high growth. Difference In Performance of a Dividend or a Growth Plan? What Are the Tax Benefits in MFs? Some of the investors are still unaware of one of the excellent categories of the mutual fund which is Equity Linked Savings Scheme (ELSS). It is a tax saving category which allows the investors to reap the maximum tax benefits under section 80C of the Income Tax Act of India, 1961. There are many more tax benefits which can be availed by the investors that include no tax on long-term gain on the sale of equity mutual funds, benefits of indexation in case of debt mutual funds, tax-free dividend, etc. Although mutual funds allow the investors to avail several tax benefits, one must choose the one as per the suitability and the requirements. Bottom line, we always wish our clients to be shrewd and wise so that they can reap the best benefits from their investments. Are you new to our services? Get connected with MySIPonline today, and experience the new ways of investing in mutual funds online.